Plastic Razor Blades? Oh Yeah! I'm always looking for ways to reduce my cycle times for printing lots of parts every day - or just to make my life a little easier. 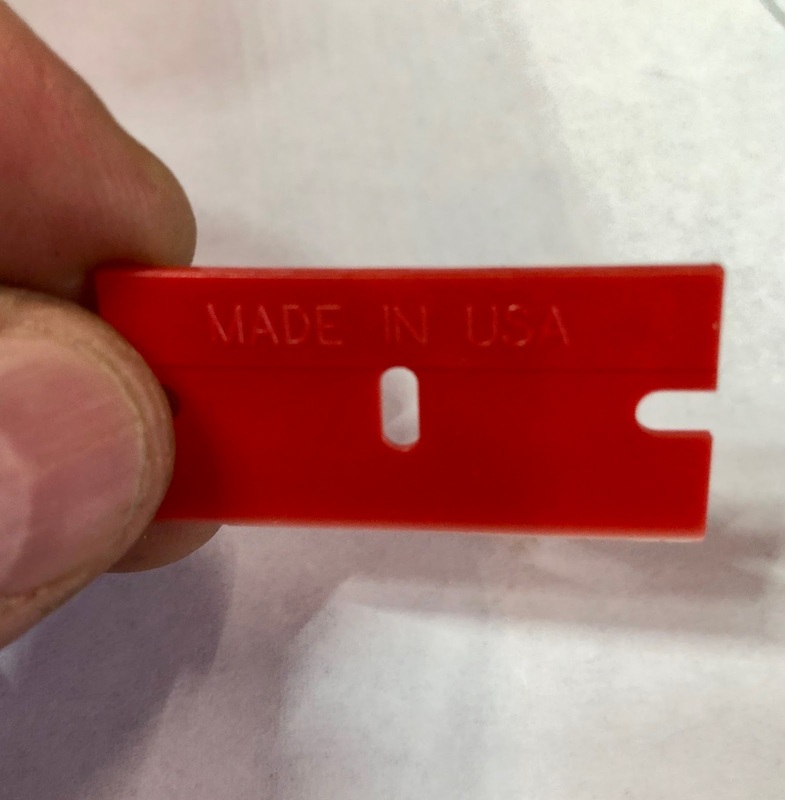 I've been using these very cool plastic razor blades for a few months and I give them the "SublimeLayers Seal of Approval" for non-destructive part removal and general print bed cleanup without fear of damaging the bed. 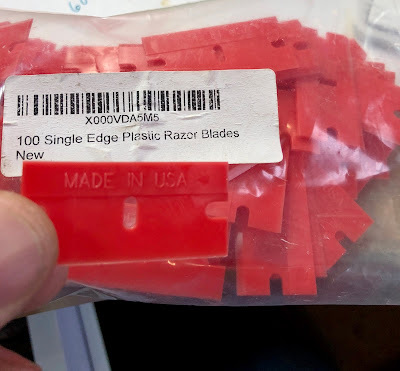 They look like a standard single edge razor blade - and you can even put them in a box cutter. They are not sharp like a razor blade but they are remarkably keen-edged. I got mine in a bag of 100 from Amazon and they have really simplified cleanup. UPDATE: Several people have suggested I setup an Amazon Affiliate and link to interesting and useful products that I recommend. So here we go! Thank you for your support! Although these are not the exact blade I show above, I purchased these last time and they are functionally equivalent. The original source has been out of stock. No Comment to " Plastic Razor Blades? Oh Yeah! "